Starting today, you can discover the best local businesses like restaurants, hair stylists, hotels or dentists around a location using Yelp in Localscope. With the latest release v2.4, we are exicted to have added Yelp as a source to Localscope’s selection of local search and discovery sources. Yelp is one of the largest and most reliable online business search, review and recommendation service. It has over 27 million reviews of local businesses in multiple markets, including the United States, Canada, Australia, United Kingdom and many Western European countries and a repository of over 606,000 business listings in these markets. And above all, it has been one of the most asked for sources by our users. Prior to this release, a large number of our users would switch between Localscope and Yelp as their location discovery apps. While Localscope provided diversity of information through various local sources, Yelp provided contextual reviews for local listings. By adding Yelp as a source in Localscope v2.4, we are putting together an experience, whereby users can browse Yelp listings side by side along with information from other diverse content. Each listing is displayed with ratings, deals and contact information enabling users to quickly decide on a destination. Users also love the contextual reviews and opionions shared by Yelpers for a place and over time have become the key to their decision making process. Localscope shows the number of reviews each listing has and users can quickly dive deeper to read more using the in-app browser or open a listing directly in the Yelp iPhone app to check-in or get more info. With the power of Yelp, Localscope presents a location discovery experience like never before. 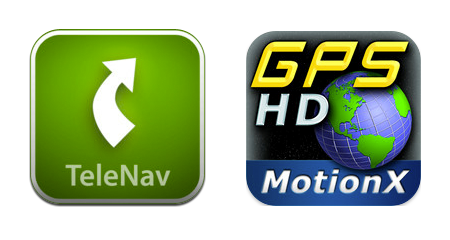 Besides Yelp, two new navigation app integrations being introduced with v2.4 are Telenav and MotionX GPS HD. Localscope automatically detects the installed navigation apps and allows you to choose your favorite app to navigate to a place discovered within Localscope. In an earlier version of Localscope, Fwix News and Fwix Reviews were added as 2 sources aggregating local geo tagged news and professional reviews around a location. Fwix has now shifted focus to being a business intelligence product and have permanently discontinued their services. Hence, these sources will no longer be available within Localscope. v2.4 also bundles updates to the Flickr source to show fresher photos around a location. We highly recommended our users to update to the version 2.4, as it is an important update for smooth transitions to future versions of Localscope. Additionally, the next Localscope update will require a minimum of iOS 5.0 or higher. The new and updated version of Localscope is now globally available on the Apple AppStore, for US$1.99 (or the equivalent in other currencies). Visit the AppStore to get your copy now!